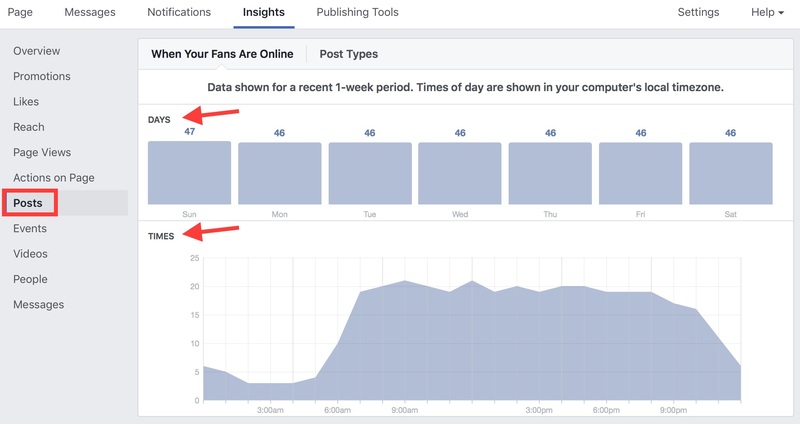 There are several suggestions of best practices for Facebook that include best times to post. However, nothing will ever be as accurate as tracking your own audience and customers. Follow the instructions to below to look at your post activity. Results are displayed for a 1-week period, so I recommend visiting a few times to collect data over a month or so. My page views and post engagement improved significantly after tracking these statistics and adjusting my posting times. 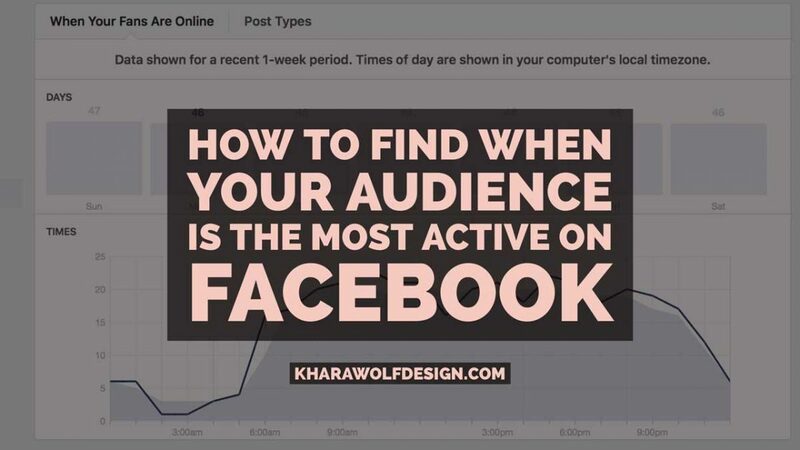 You can also use this guide to help you track post engagement and reach to further refine what content is working on your page. You’ll see the average views per day for a one week period. If you hover over a day, you can compare that day vs time. For example, the best time for me to post based on this week is Sunday at 8 am. 4) Post engagement and reach. If you scroll down on that page you’ll see information for you best posts, including reach and post clicks.